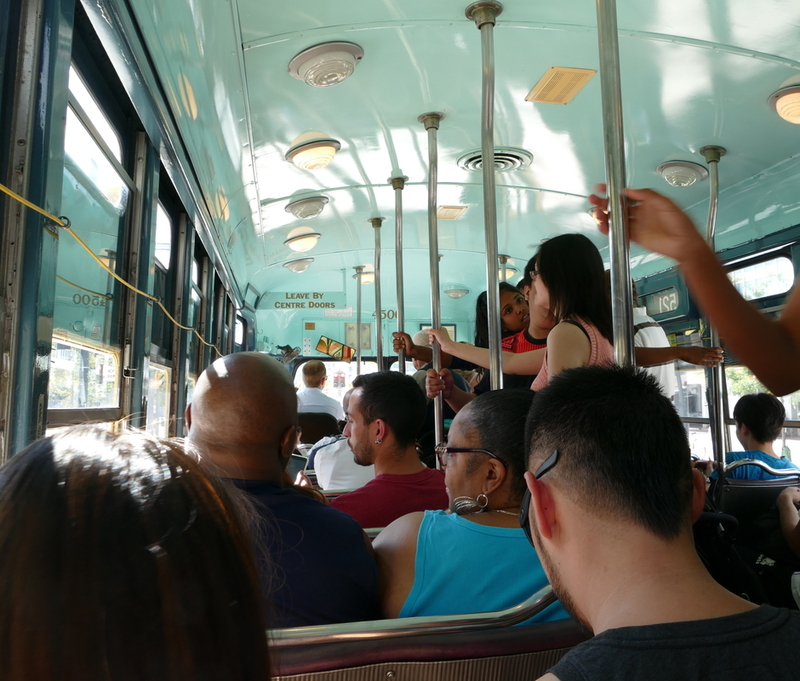 On the way to the Canadian National Exhibition, we climbed onto a streetcar that probably dates from the 1940s. This is presumably a special project by the TTC: I haven't seen one on the tracks in years. It was strange to see current day people riding the streetcars I rode as a kid.